Happy Clean Your Refrigerator Day, y’all! Some say this day was invented by Whirlpool, but that may just be the ramblings of confused conspiracy theorists who wandered into the kitchen. It’s also National Bundt Day, but I’m too busy cleaning out the refrigerator to bake a bundt cake. Maybe tomorrow! Whoever created this day, it’s a good reminder to straighten up the fridge, clean it out and make room for all the holiday dishes we’ll be whipping up over the next several weeks. Are you one of those people who snoops in the bathroom medicine cabinet when you visit another’s home? I’m kind of that way, but with refrigerators. I try to live by the credo that you should not judge someone by material things. But truth be told, if I come to your house and there’s a legitimate reason for me to open your refrigerator door, then I am going to do that. And I am going to judge you by the contents thereof. 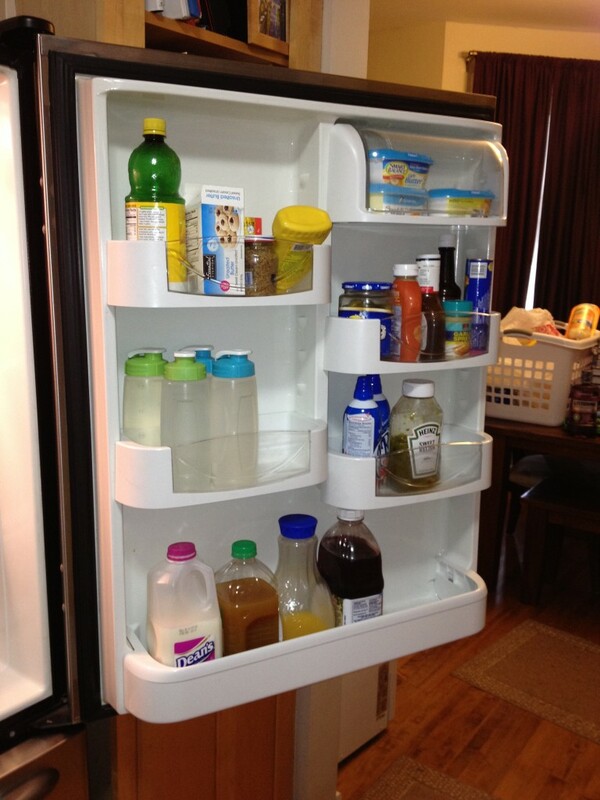 What do the contents of your refrigerator reveal about you? 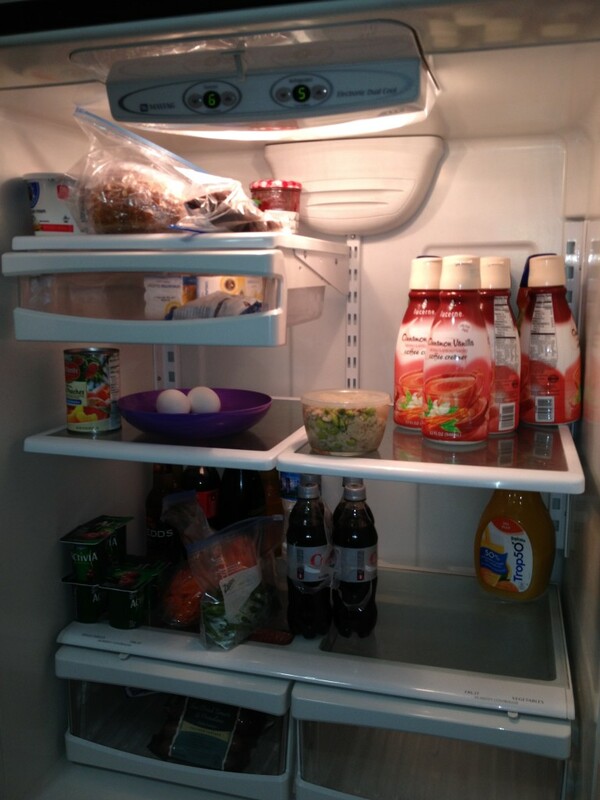 Here’s what my refrigerator looked like earlier today before any clean up. And here is the door of my fridge, which is desperately in need of a culling. I’ve got far too many condiment bottles that are partially used. And for those eagle eyes out there, you’ll see I keep my milk in the refrigerator door. That’s a huge no-no because the door is usually the warmest spot inside the refrigerator. I know better, but I don’t care. Feel free to judge me. The meat drawer is in good shape with some ground turkey and bacon. 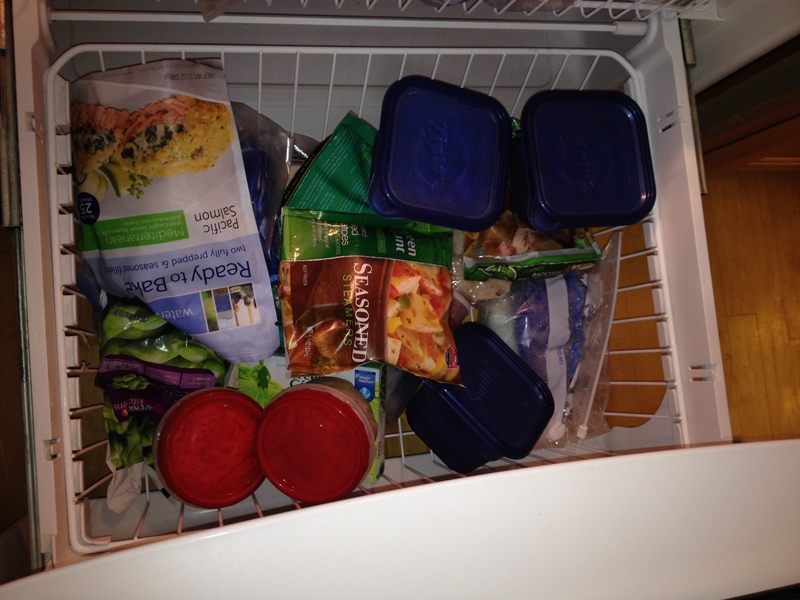 I think the worst part of my refrigerator in terms of messiness is the freezer drawer. I try to label containers before they go into the deep freeze, but you can see (here’s the photographic proof) that most of the containers aren’t labeled. Again, I should know better. But sometimes it’s just easier to delude yourself into thinking you’ll remember exactly what is inside each container. 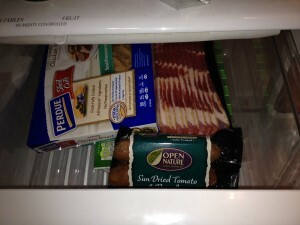 I obviously have some work to do to get my refrigerator cleaned up and ready for the upcoming holidays. And you better get to work on yours, too. Because you never know when someone might drop by for a refrigerator reveal!